Panasonic recently supplied and installed 59 sets of PT-RZ670BE SOLID SHINE Laser projectors (6,500 lm WUXGA) to National Museum of Singapore. 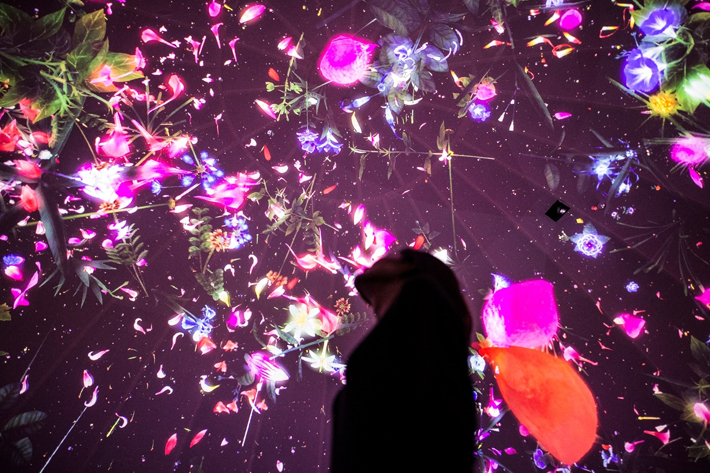 In one of the largest deployments ever for a single museum venue, the projectors mapped images on a dome ceiling and corridor to tell Story of the Forest, an interactive multi-media exhibition commissioned by National Museum of Singapore and created by Japanese artist collective teamLab. The exhibition has since attracted widespread attention and acclaim in the media. 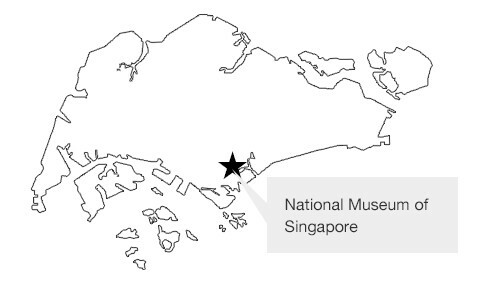 Founded in 1887, National Museum of Singapore is the oldest museum in the country. Known for its creative exhibitions, the institution recently renovated a cylindrical glass centerpiece building to push boundaries with interactive projection technology. 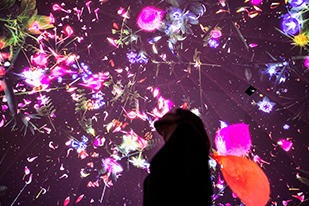 National Museum of Singapore commissioned teamLab to create artwork inside the glass structure. 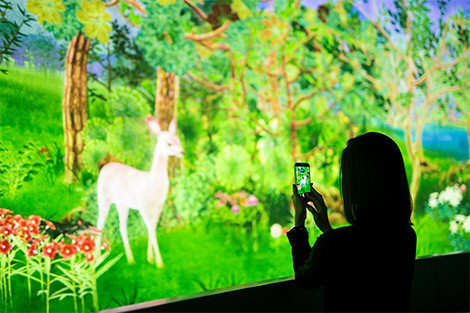 Utilizing the space to full effect, Story of the Forest opened to the public on December 10, 2016, and has since attracted global media attention for its inventive blend of art and technology. Two aspects of the installation include a seamless 144 m projection in the gallery corridor, and a large multi-screen dome projection. In the corridor, visitors can use a dedicated “Story of the Forest” smartphone app to photograph projected images of flora and fauna and receive augmented information about them on their devices. photograph animals to create a picture book. 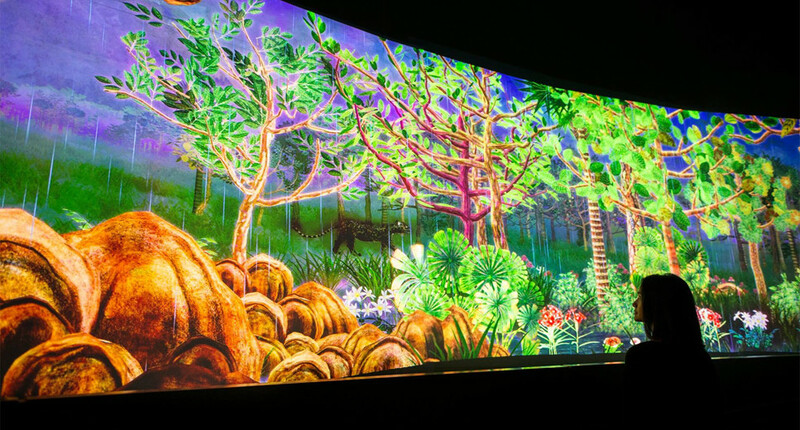 Panasonic had a lot to consider when selecting a projector model to meet client requirements while delivering on teamLab’s concept. With no lamp or filter replacement for 20,000 hours, SOLID SHINE Laser presented a solution for reliable maintenance-free operation. As angled multi-screen projection was required, 360-degree mounting flexibility put laser ahead of lamp-based alternatives. 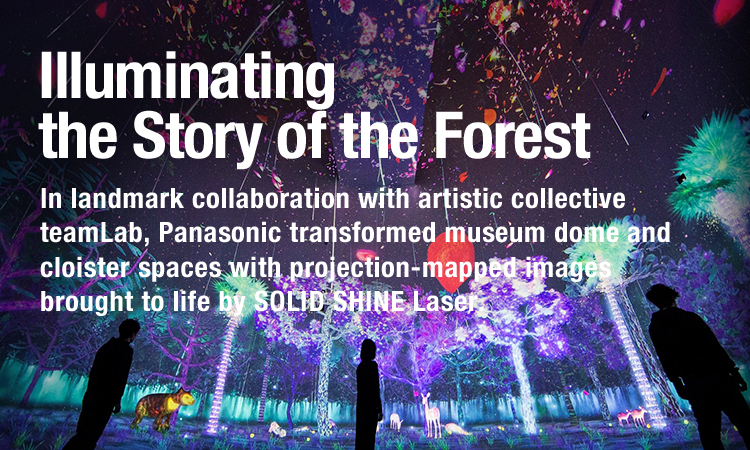 Drawing on teamLab’s concept and on-site surveys, Panasonic proposed using its PT-RZ670 SOLID SHINE Laser projector. The unit balances high 6,500 lm brightness at WUXGA resolution with functions for complex mapping applications. Excellent on-site support gives Panasonic a crucial market advantage, and our technical team began designing a projection layout to suit the venue immediately. 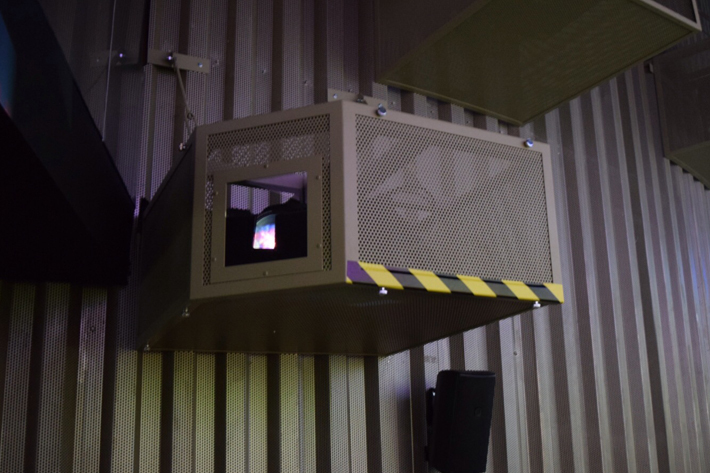 When considering projector positions, easy access and concealment from visitors were weighed against requisite picture quality. As the distance from wall to screen varied at every point along the long stretch of corridor, finding optimal positions for each unit was difficult. Engineers performed extensive simulation using Panasonic’s internal simulation software, and made frequent visits to the site to identify possible projection locations before deciding on a final layout proposal. 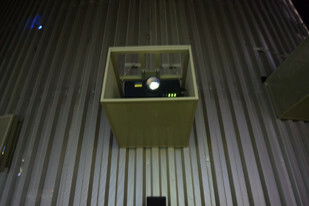 After a demonstration, National Museum of Singapore was persuaded Panasonic SOLID SHINE Laser could deliver best performance at lower overall cost. Seamless 144 m interactive corridor projection. 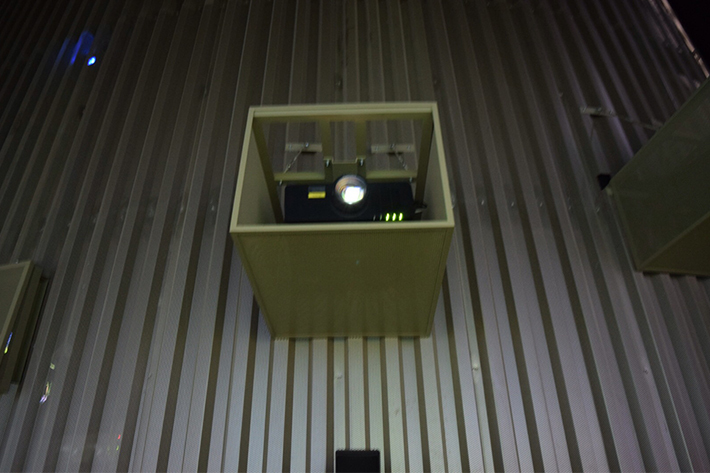 SOLID SHINE Laser projectors in action. 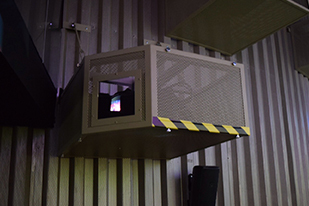 Kawasaki City, Japan, to test projection layout and performance ahead of final deployment.